We have been hearing a lot about Windows 8 recently. From its all-new Metro-inspired looks to its Ribbon-based Explorer, nearly everything about the next big version of Windows has been covered. This coverage was mostly from unofficial sources, but today at BUILD, Microsoft officially, extensively demoed Windows 8 from which we have learned quite a lot of interesting things about it which has us excited for late 2012. For the uninitiated, Windows 8 is the next major version of Microsoft Windows. It is one of the biggest, most revolutionary updates to the Windows OS yet, as it focuses on a touch-based UI which is optimized for use on tablets. This is done while it maintains support for a keyboard-and-mouse setup, which we have been using on desktops (and later on, laptops) since the days of Windows 3.1. Steven Sinofsky, President Windows Division was up on stage at BUILD covering many features of Windows 8. There was a lot of focus on the term “reimagine” as Windows 8 is, according to Microsoft, a complete “reimagination” of the way people use their computers in today’s world. Microsoft didn’t really show anything all-new to its audience at BUILD, but they did heavily showcase most of the features. The initial focus on the Metro-based UI. Metro, as we know, is a simple, clean and modern design language created by Microsoft which was introduced with Windows Phone 7 and later on, other MS products such as Xbox 360 and Windows Live. The implementation of Metro in Windows 8 feels a lot like Windows Phone 7 just scaled up for bigger screens, which isn’t a bad thing at all. While it is made for touching, the all new Metro UI in Windows 8 supports mouse and keyboard as well, and users can revert back to the Windows 7-like UI with a click of a button. This Metro UI is extended to all parts of the OS, which gives it a very nice look and feel. Windows 8’s entire experience is based around powerful Metro-style apps that are, of course, built specifically for Windows 8. They use the entire screen, meaning you won’t have tool bars or UI chrome to distract from the app itself. These apps can also communicate with each other which makes them, well, powerful in ways we haven’t seen before. Microsoft will also be supercharging their Live services which will allows users of Windows 8 to synchronize their photos, email, contacts and more across difference devices. Windows 8 will also come with a separate Application Store (much like Mac App Store or Ubuntu Software Center) which will allow users to discover and download new apps. Despite running what looks to be a resource-heavy UI, Windows 8 is actually more efficient at managing resources than Windows 7. Microsoft has stated that users who move from low-end devices such as netbooks will notice a significant boost in performance. 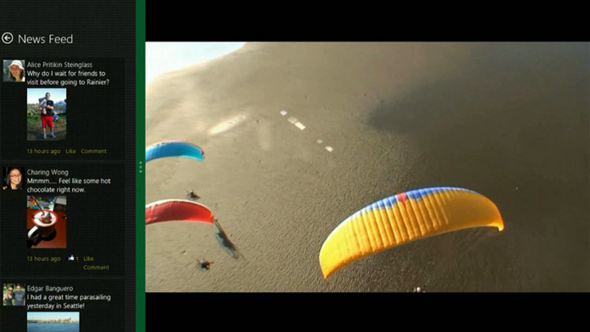 In one of the demoes at BUILD, Microsoft showed Task Manager in Windows 7 vs. Task Manager in Windows 8. 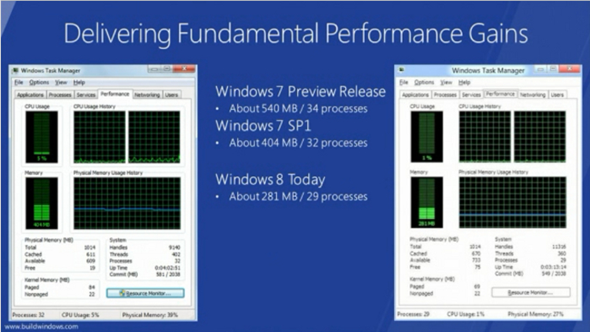 Windows 8 used about 281MB of RAM with 29 processes whereas Windows 7 SP1 used about 404MB with 32 processes. Microsoft has noted that Windows 8 will require significantly less time to boot up, which we’ve talked about in detail here. 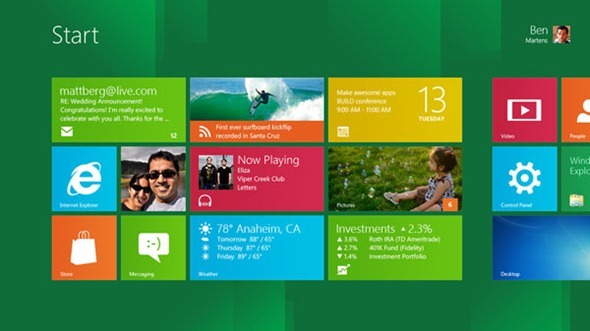 Windows 8 comes with support for a variety of hardware platforms such as ARM, x86 (including x32 and x64). It is quite scalable, so it will work on 7” touchscreen devices to 27” desktops. Besides the significant above mentioned features, Windows 8 brings features like system-wide spellcheck and search to the desktop. 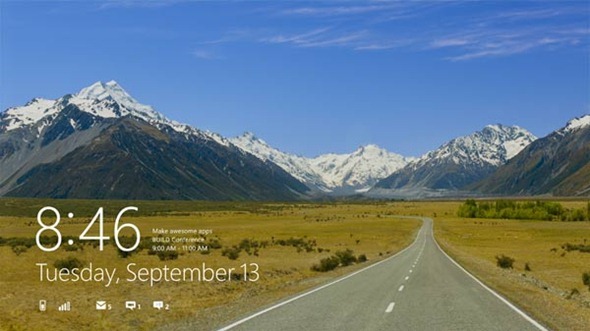 Microsoft did not specify a release date for Windows 8, but it is safe to say that it will come in late 2012. Developer Preview of Windows 8 will be available this week via Windows Dev Center with regular updates with bug fixes along the way. We will inform our readers as soon as that happens.